A 20’ x 20’ Two Story Premium Transportable Venue. The Opulent is the crème de la crème of our “transportable temporary venues”. As you take your place in your very own sponsor’s box, this Stand Out Venue will allow you to portray an image of complete professionalism, which you would never achieve with a marquee. A 20 x 20 Single Story Multi-use Transportable Venue. This venue will set you apart from all of your competitors at any trade show, product launch or exhibition. The presence of this all aluminum structure, with an exterior that can be fully customized with your own corporate logo and colors, will be the most remembered venue at any event. 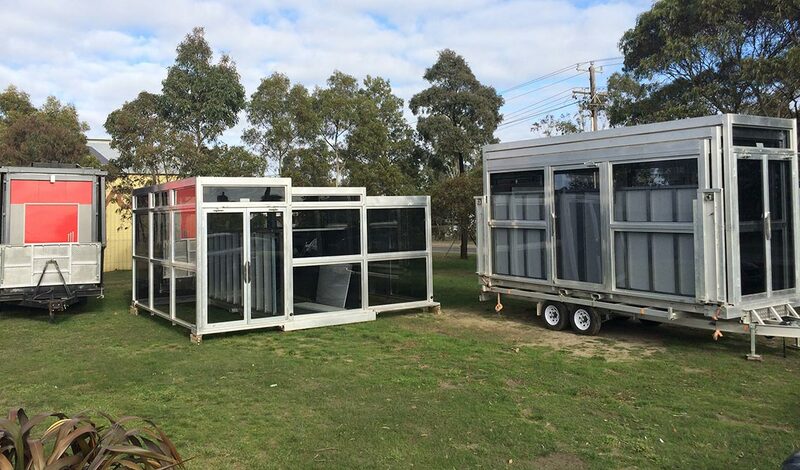 WHAT CAN THESE TRANSPORTABLE VENUES BE USED FOR? VIP viewing room at races – which race? You choose! Its uses are practically unlimited. Now that’s special!